I came across a VERY interesting story while I was checking out the online headlines on AOL (American On Line.) I was so thrilled when I immediately recognized the photo that accompanied the headline and article. Beyond recognizing the town of Braddock, I was delighted with the message of hope that the article conveyed. Within a stone’s throw from the city we all love, Duquesne, Braddock’s mayor has taken the bull by the horns, thought outside the box, and took steps toward recapturing the spirit, pride and hope the city needs to survive. I have always thought that Duquesne has the potential to accomplish similar success. Given the city’s adjacency to a monumental draw such as Kennywood Park, the views of the Monongahela and the industrial history on its banks, it could be achieved. I have reposted the article for your enjoyment. Be sure you check out the video as well. It will immediately remind you of some of the sights from Duquesne. At the beginning of 2014, Kevin Sousa broke records when he raised $310,255 on Kickstarter for his new restaurant Superior Motors. It was the site’s most-funded restaurant project to date and it would not even be opening in New York, Los Angeles, or any cosmopolitan area. 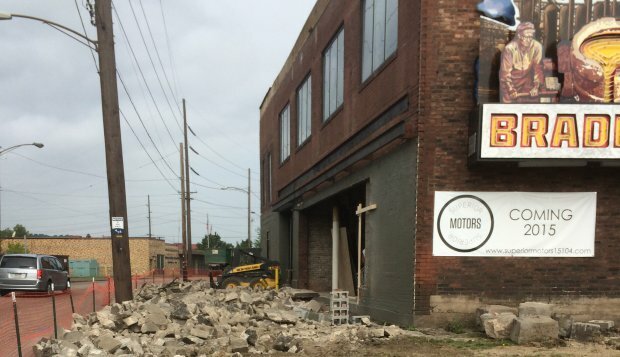 Superior Motors will open in Braddock, Pennsylvania, a struggling town outside of Pittsburgh, which currently does not have any kind of restaurant, not even fast food. 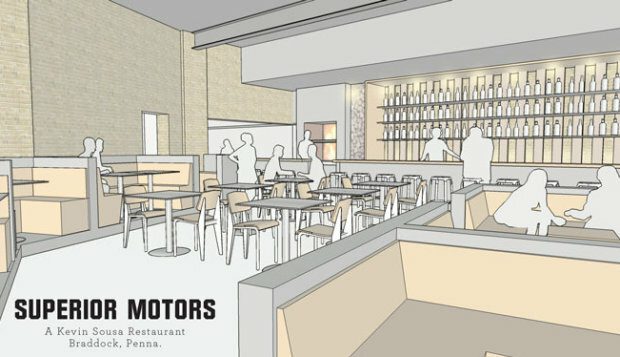 In addition to being the first restaurant in Braddock, Superior Motors will stimulate the town’s already existing ecosystem, by providing employment, a culinary training program, and sourcing its products from area vendors. 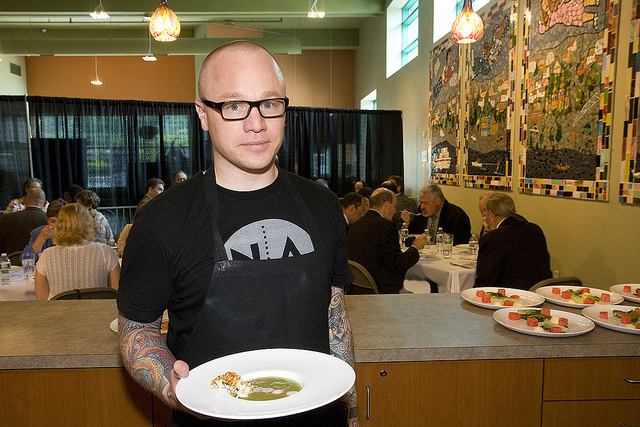 In 2010, his years of working in a kitchen ultimately led to him opening Pittsburgh restaurant Salt of the Earth. As chef and owner of Salt of the Earth, Sousa created a fine-dining restaurant that was also involved with its community, using locally sourced products and working with charitable organizations. However, he wanted to take his social outreach work even further, using his skills and expertise to benefit others. 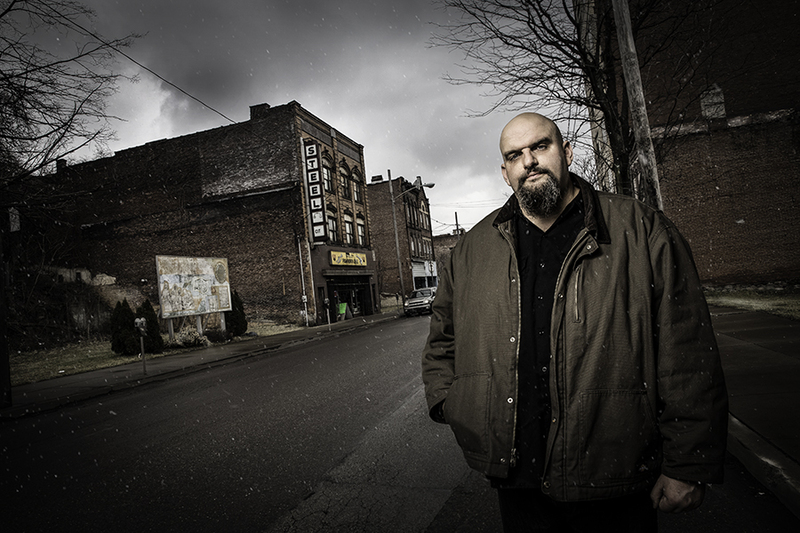 Enter John Fetterman, the innovative mayor of Braddock, whose efforts to revitalize the town have been covered by The New York Times and The Colbert Report. The two became friends and Fetterman introduced him to what was going on in Braddock. Once a bustling steel mill town, the steel industry’s decline in the United States resulted in Braddock losing 90 percent of its population and many of its buildings. With Fetterman acting as a consultant, Sousa developed the idea for a restaurant that utilized Braddock’s existing urban farms and abandoned properties, while offering a free-of-charge job training program for at-risk teens or people who might not otherwise have such an opportunity. Fetterman also provided a rent-free industrial space. The space is a former 1920’s indoor car dealership, whose name the restaurant would revive –Superior Motors. It was a great idea, but how could they make it happen? “Banks were not tripping over themselves to give us money,” said Sousa. Even though he already had a reputation as a successful restaurant owner in Pittsburgh, no banks, financial institutions, or foundations were willing to believe that Braddock was a good investment. With traditional financing not an option, he turned to Kickstarter. He set the goal high, aiming to raise $250,000 in 33 days. A Kickstarter campaign is a significant amount of work and Sousa wanted the payoff to be a dollar amount that would actually facilitate getting the project started. In December 2013, the Superior Motors Kickstarter launched with a video that told the story and mission of their project. “My advice to anyone who is getting ready to launch a Kickstarter campaign and spending all this time on the wording of the page? Take all of that time and effort and put it into a strong video,” said Sousa. Sousa and Fetterman reached out to their own networks and the local press quickly picked up on the story. Thirty-six hours before their campaign ended, they had raised over $100,000, but were still short of their $250,000 goal. So the night before their Kickstarter ended, they threw a party above where the restaurant would be to thank Braddock residents and all the people who had contributed. All three channels of the local media showed up to cover the celebration, which involved local breweries and live music. The press and spirit of the party helped the campaign go viral in the next few hours. Sousa started getting constant notifications on his phone that people were donating. The morning after the party they hit their goal and by the end of the campaign they had exceeded it, raising $310,255. Since the Kickstarter campaign ended, Kevin Sousa has been working non-stop to prepare for the Superior Motors opening in early spring 2015. He lives in Braddock now, and every day, as he walks down the street with his dog, neighbors stop him to chat about the progress of the restaurant. A typical workday involves attending meetings with any of the various people involved in the restaurant’s construction, including the architect, the construction team, the demolition team, lighting designer, or the bread baker who will be designing their outdoor bread oven. Three days a week he’ll be cooking in one of the kitchens, often for a charity or promotional event in Braddock. In addition to working on Superior Motors, he still operates two other restaurants in Pittsburgh and raises two kids with his wife. Sousa is also developing the curriculum for the culinary training program. In this five-day-a-week program, students will learn culinary training, agriculture, and basic life skills at Superior Motors on Monday, Tuesday, and Wednesday. On Thursday and Friday, they will work paid positions at the Superior Motors restaurant and farm for real work experience. The application process for the program will open at the end of October and it’s expected to receive over hundreds of applications to fill a few spots. When Superior Motors opens, visitors can expect food that will be seasonally driven, sourced from local farms, and generally mindful of the spirit of Braddock. It will toe the line between fine dining and a casual neighborhood vibe. Braddock residents will be 50-75 percent of its staff and all residents will be offered a significant discount to eat there. “Cost should never be an issue for anyone to eat here,” says Sousa. After expenses are covered, any profits made by the restaurant will be filtered through Braddock Redux, the non-profit organization that is operating the job training program. Sousa ultimately hopes that Superior Motors’ restaurant/culinary training project can be a model for other post-industrial towns across the Rust Belt that have had the same difficulties as Braddock. He knows his project is not easy, but the story of his Kickstarter shows that the Braddock and Pittsburgh community are interested in seeing long-term success. “Pittsburgh supports its own,” says Sousa, and the over 2,000 individual backers of the Superior Motors Kickstarter are proof. While there were some high pledges (including one from actor Christian Bale), most of the pledges came from locals, and were under $100. Sousa credits Kickstarter as a platform for helping small businesses change the world. “If banks and traditional financial institutions don’t change the way they operate, they’re going to be left behind,” he says. It’s likely the people of Braddock will not wait for them to catch up, they will already be working as a community to find innovative ways to build the projects they deserve. I saw this article on line also. I knew that I was reading about our area from the Union RR. locos photos accompanying the article. First off, I would like to congratulate the townspeople, the mayor, and Chef Sousa for their endeavor. I hope it goes above and beyond, just like their donations. I remember Superior Motors. I bought my 57 Chevy convertible from them. I’m happy you posted this Jim. I remember your ‘57 Chevy. I was 6 or 7 years old then, but that was the first car I ever saw that I thought of as being “a pretty car”. I couldn’t figure out why my dad’s car didn’t have shirts. What was the name of the color? That is the classic color for a ‘57. I don’t remember the GM color name but it was a metallic copper body with a tan top and interior. It got washed every other day to keep the suet off. After looking it up on line. the color was Sierra Gold Poly. Can you please tell me if this was on 5th avenue? Or do you know of any used car dealerships that were there in 1956? I am desperatly looking for an gentlemen maybe in his early middle 80;s now or his daughters. He use to go by the name of Nick. Or his nick name was Nick the Syrian. He was an used car salesman. Wow I’m impressed. I sure would like to see Duquesne turn around. Wonder if that mayor could be persuaded into moving to Duquesne? Linda, I like how you think! Aside from the impressive educational credentials that Mayor Fetterman brought with him to Braddock, it was his fresh perspective that fostered the growth and steps toward recovery that the city has seen. I believe that underneath all of the education, media savvy and ability to take risks and introduce new ideas, the driving for of Mayor Fetterman is the LOVE that he possesses for Braddock. It’s indisputable that he and the city are driven. To be perfectly honest, if I were younger, I would have loved to take on the challenge in Duquesne. Fetterman is a very smart (Albright and Harvard) and media savvy. Do a youtube search for Braddock PA. Four years ago he persuaded Levis to shoot a commercial and short film about the city. They also donated money to turn an old church into a community center near the library. He also applied for corporate grants to restore the library. Duquesne is not Braddock. What all this media hype masks is Braddock still has tax revenue (although significantly reduced) from the J Edger Thompson Works where they are still making steel. He lobbied to not have the Mon Yough Expressway (Turnpike PA 43 aka Squirrel Hill Tunnel Bypass) built through his city. He is an outsider who thinks outside the box. Can the new restaurant survive in this town or will it fold in the first two years like so many others? Harold, you are correct! Mayor Fetterman IS a leader who is in touch with today’s media driven world. Obviously, his education has given him the disciplines necessary to lead a city from the effects of a decaying environment. However, I believe his ability to think outside of the box is the driving force behind the successes that he has realized. I am destined to be an eternal optimist. Despite the fact that Duquesne’s most recent distinction came as being name among the top ten most dangerous cities in Pennsylvania, I still have hope.I still believe that soon, perhaps even in my lifetime, the tide of negativity and despair related to Duquesne will turn. If one doesn’t have hope, what’s left?